With 35 years experience, National Masssage chair is the largest Panasonic Healthcare Sales and Service provider in all of Western Canada. 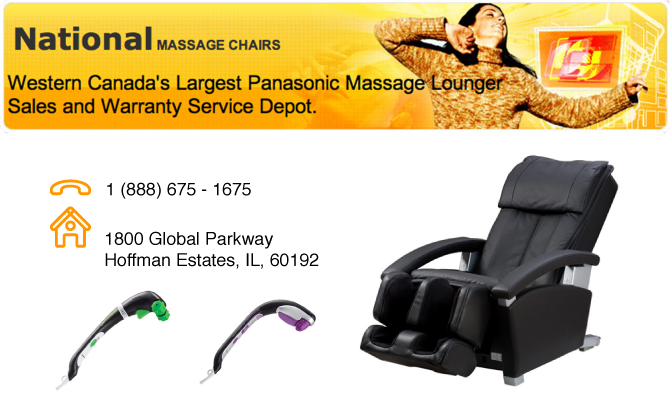 Our Panasonic products include massage chairs and hand-held massagers. Along with Panasonic, we are also carry Interactive Health and Relaxus, therefore allowing us to provide our customers with a wide range of innovative backcare solutions. Quality products backed by solid service has been the reason for our success and our goal is to continue to find ways to serve you better.